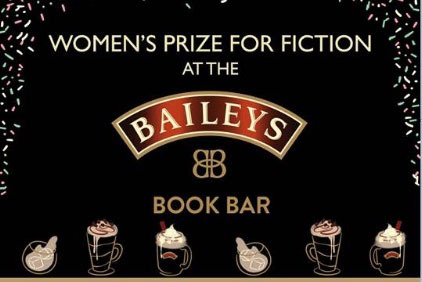 Baileys, the Diageo-owned Irish cream liqueur, is hosting its pop-up book bar for a third year with the Women's Prize for Fiction. The "Baileys book bar" will feature a number of events to celebrate women’s voices and fiction written by women. The five-day activation will welcome women including Lily Cole, Jenny Colgan, Juno Dawson, Louise Doughty, Dorothy Koomson, Catherine Mayer, June Sarpong, Kit de Waal and Viv Groskop. The events will include a focus on the shortlisted writers for the WPFF 2018 prize, female comedians, as well as 200 years of Emily Brontë. It will also showcase the Baileys Treat Collective, a team of food and drink experts who will be serving up "playful and eccentric" Baileys treats. There will also be a Baileys cocktail masterclass event. The bar will be at Waterstones in London's Gower Street between 23 April and 27 April.